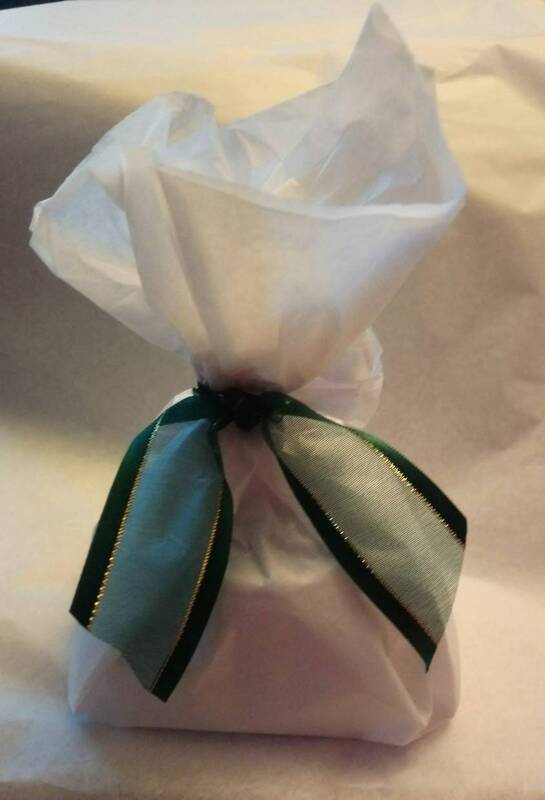 Each pack is wrapped in white tissue sealed with a ribbon. A tag with hand written message can be added for no extra charge (just message me when at checkout). 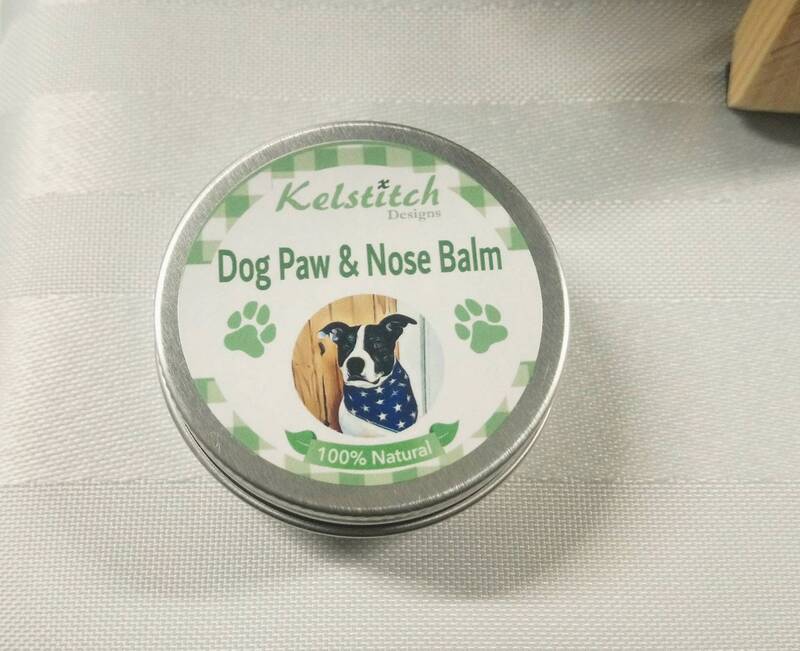 Soothe sore, dry paws and noses with our 100% natural paw and nose balm! 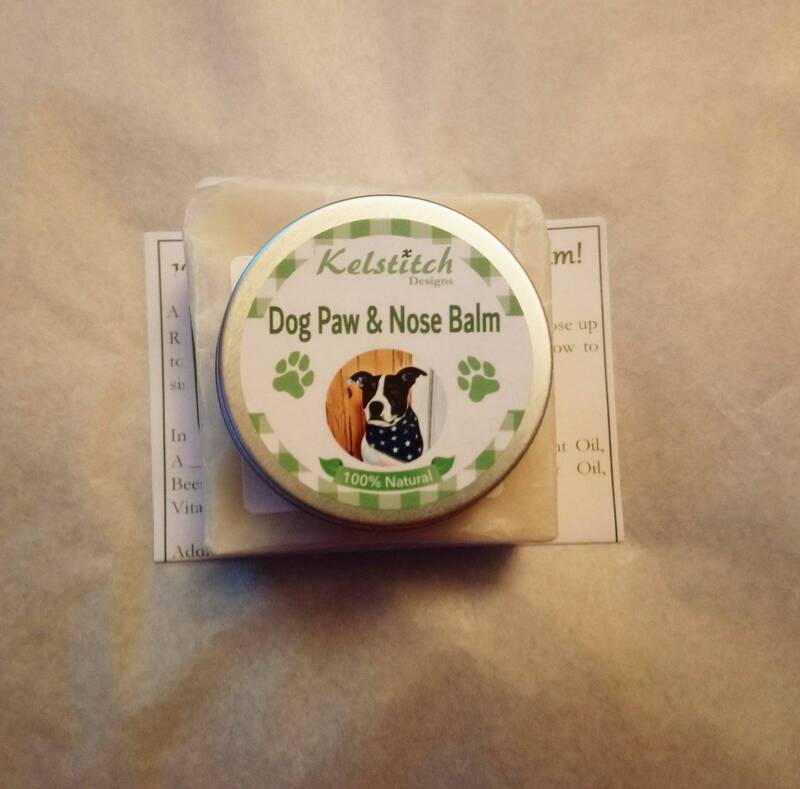 Made with natural oils and butters this balm is perfect for your pup's sore paws, knobbly knees, sandpaper elbows, hardened feet and dry noses. 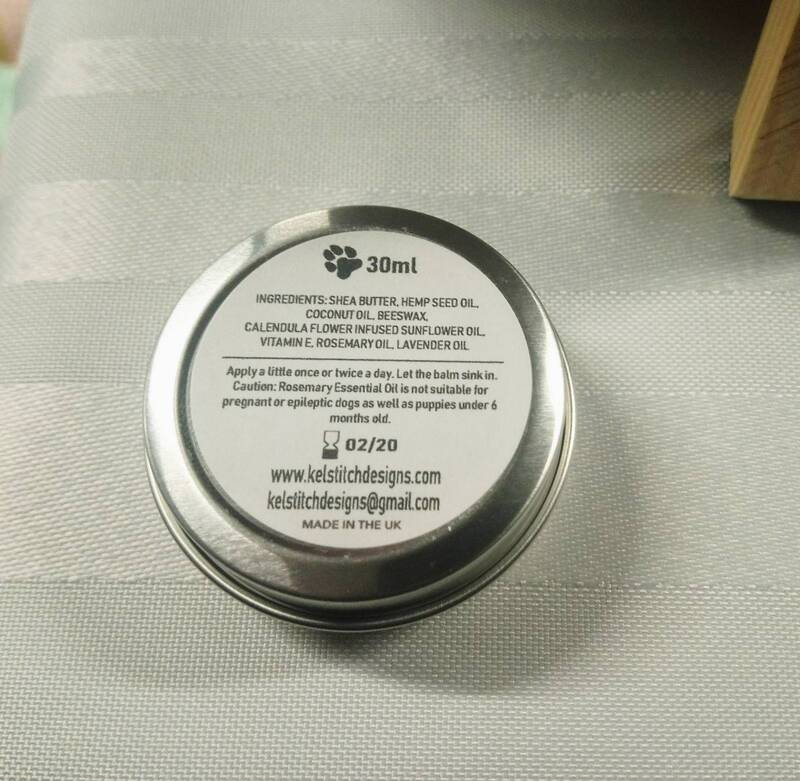 This product is in a 30ml pot. 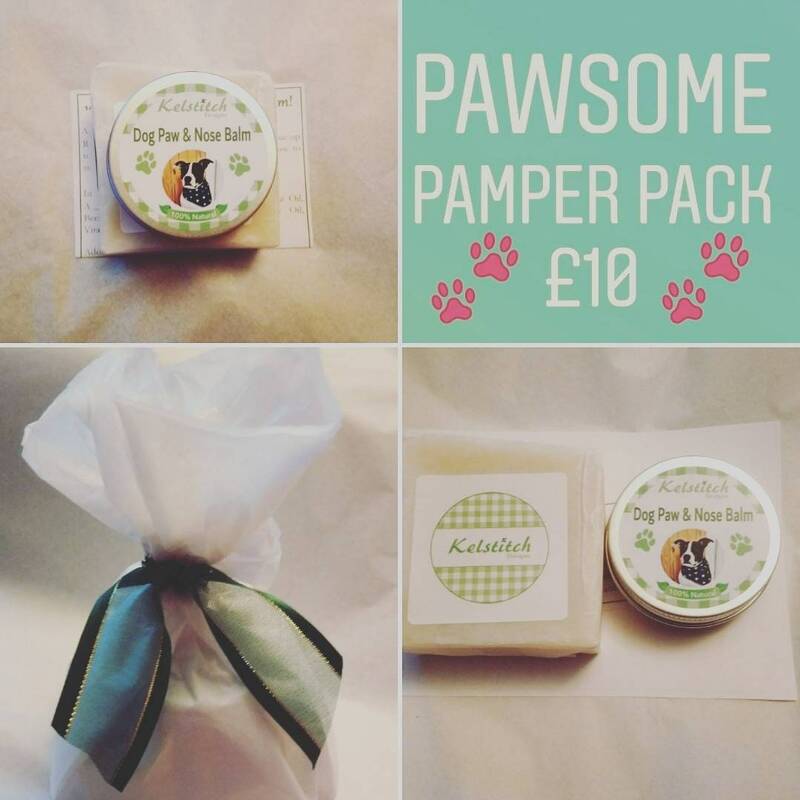 Rub a small amount on paws and or nose up to twice a day and allow to sink in for 20 minutes. For external use only. Beeswax, Calendula Flower Infused Sunflower Oil, Vitamin E, Rosemary Oil, and Lavender Oil. 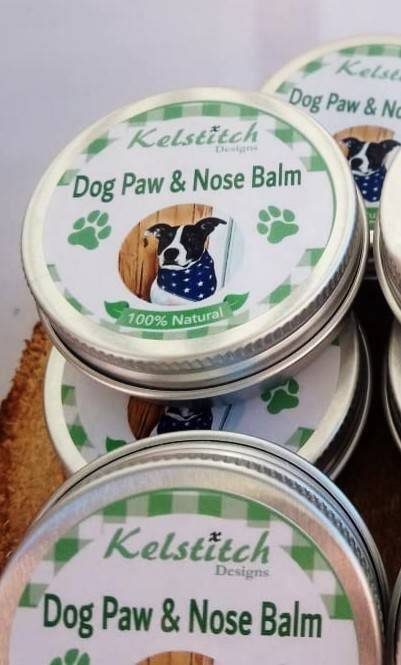 To avoid spreading the product on to unwanted surfaces and to allow the product time to soak in effectively, it is suggested you apply on paws when your dog is resting in their bed or use dog socks. 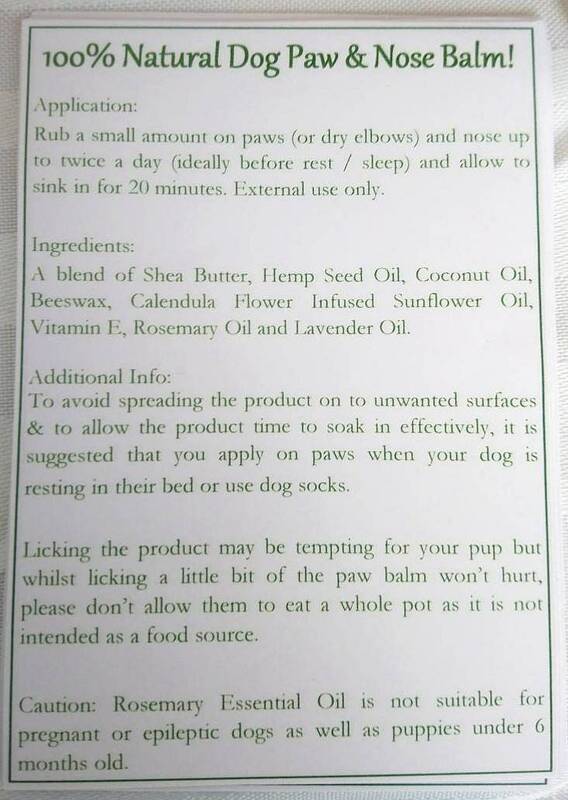 Licking the product may be tempting for your pup but whilst licking a little bit of the paw balm won't hurt, please don't allow them to eat a whole pot as it is not intended as a food source. Rosemary essential oil is not suitable for pregnant or epileptic dogs as well as puppies under 6 months old. 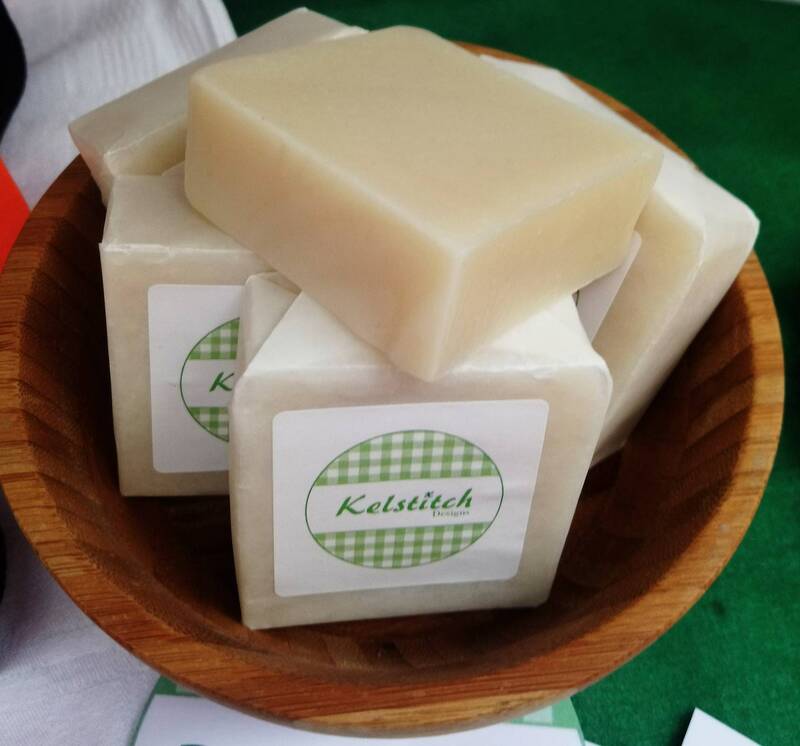 This handmade dog soap is a natural flea repellent. 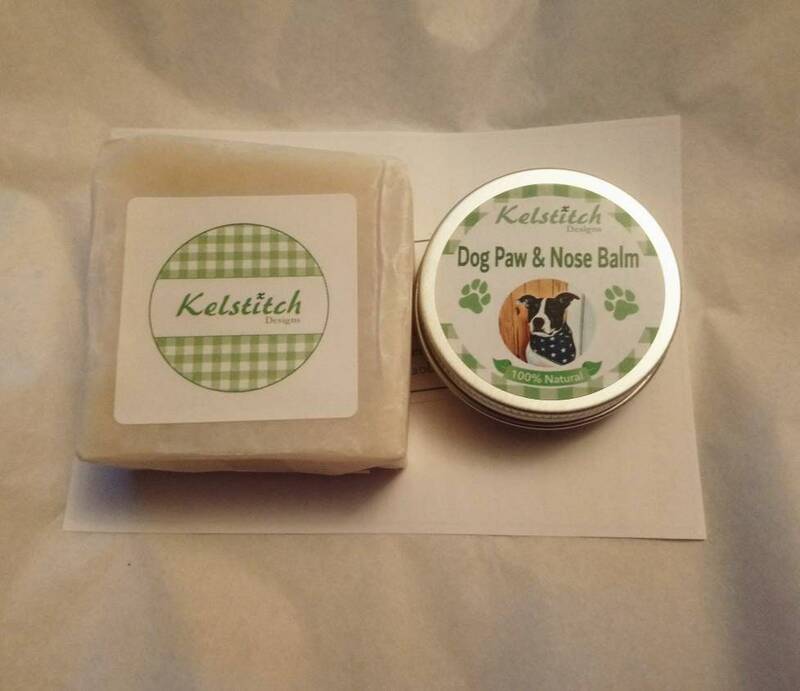 Made with natural oils and butters it conditions skin and fur whilst soothing dry skin. sodium olivate, aqua, sodium cocoate, sodium palmate, sodium castorate, azadirachta indica, lavandula angustifolia, cymbopogon nardus, mentha piperita, melaleuca alternifolia, kaolinite, linalool. This product is an 80g bar of soap.